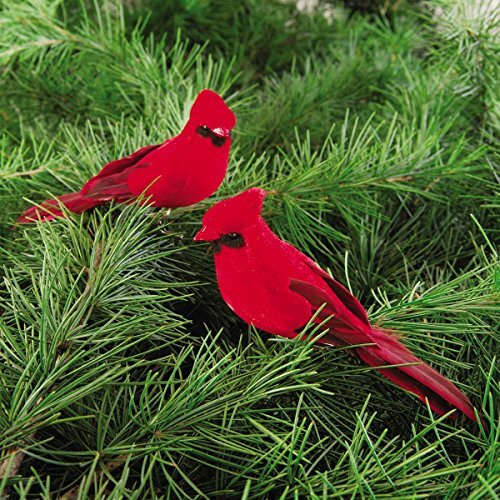 Cardinals are a great theme for your Christmas decor this year and red cardinals in particular suit the holiday decor perfectly, complimenting green well. They are said to represent messages from the other side, offering people who are grieving great comfort knowing their loved ones are near by. The red is said to represent fiery passion, excitement and divinity. 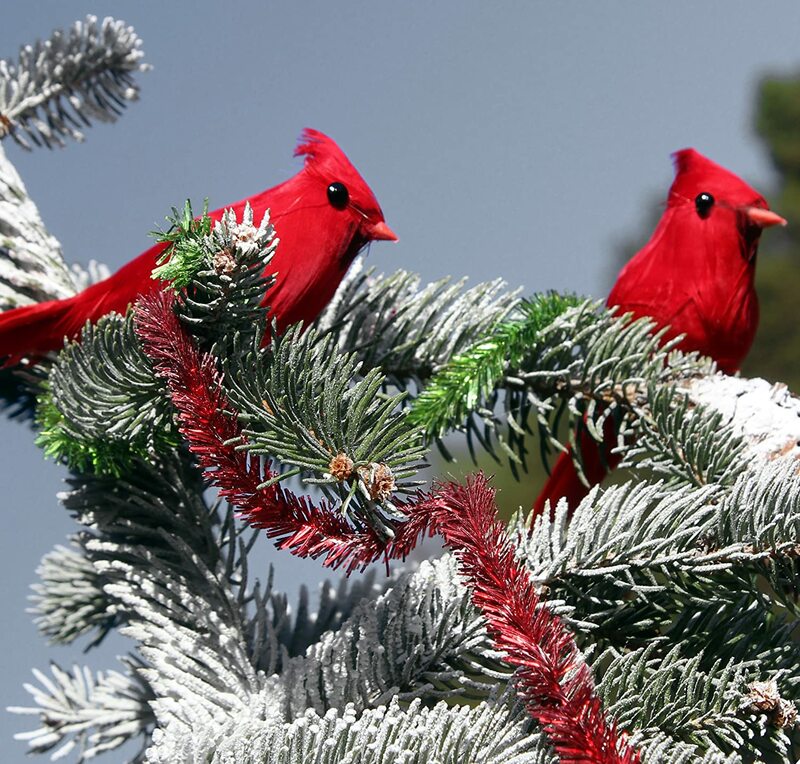 Unlike other types of bird cardinals do not migrate in the winter. They stay and bring warmth and hope to this season. 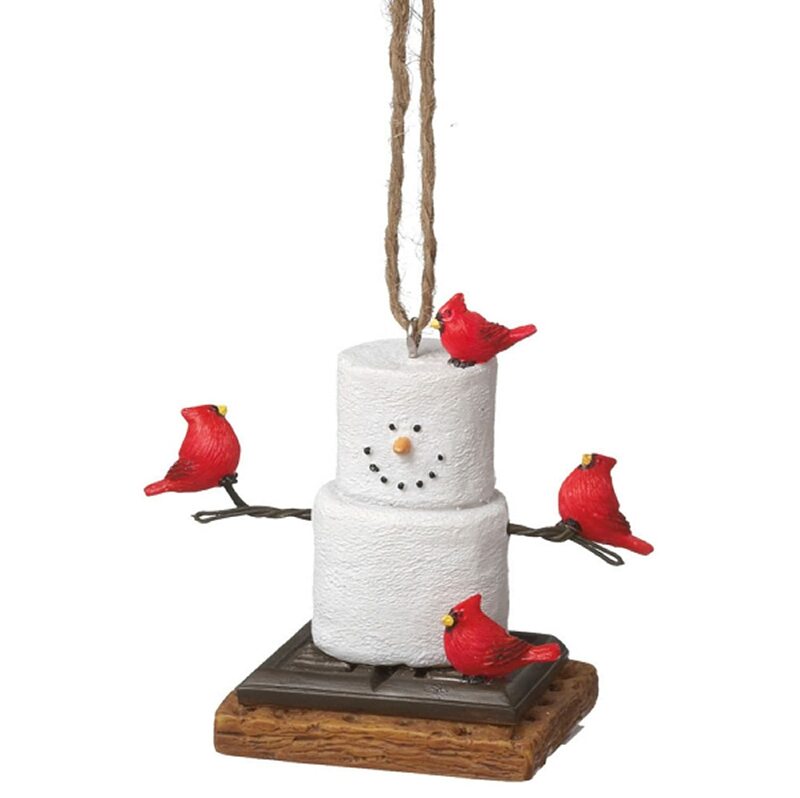 We’re going to go over our favorite red cardinal Christmas decorations to save you the hassle. So without further ado! 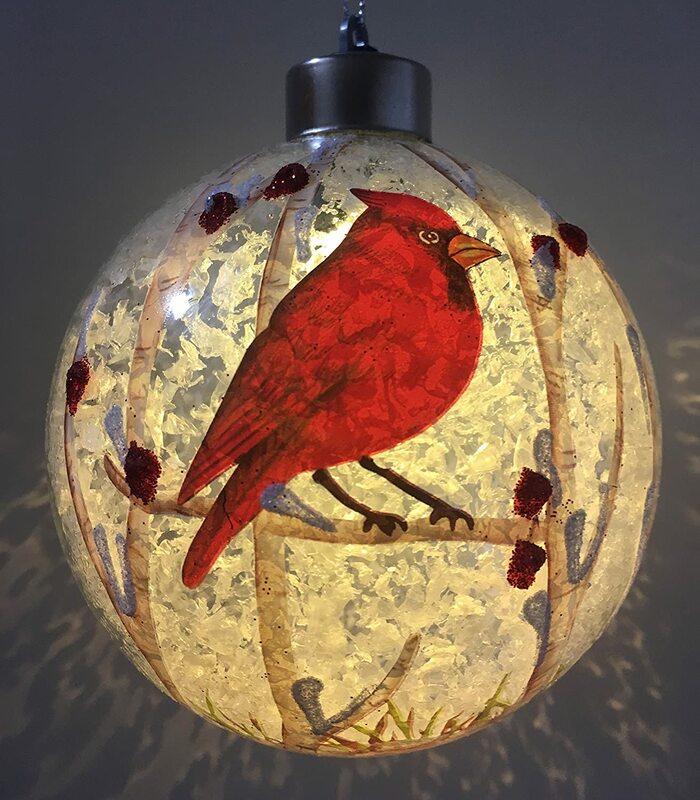 Check out these beautiful red cardinal themed baubles that will look perfect on your Christmas tree this holiday season. I’ve picked out two choices that I’m sure you’ll appreciate. 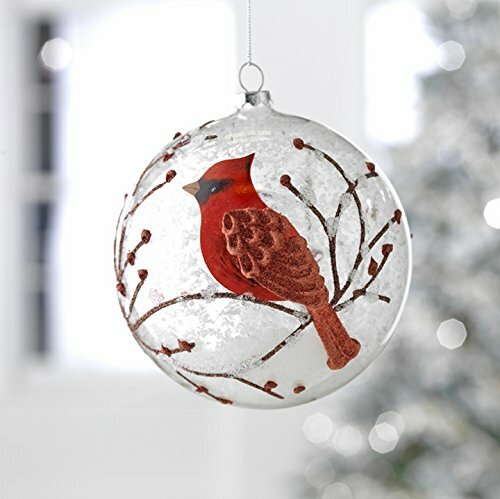 One a transparent white bauble with red cardinal and a branch pattern across the side. The second choice is a beautiful LED ornament that will lit up the tree. If you are looking for something simple these clip on cardinals will work well for you. Simply place them wherever you want and move them around to your heart’s desire. As I mentioned in the introduction red cardinals are seen as little messengers from the other side. Sending messages from our loved ones. 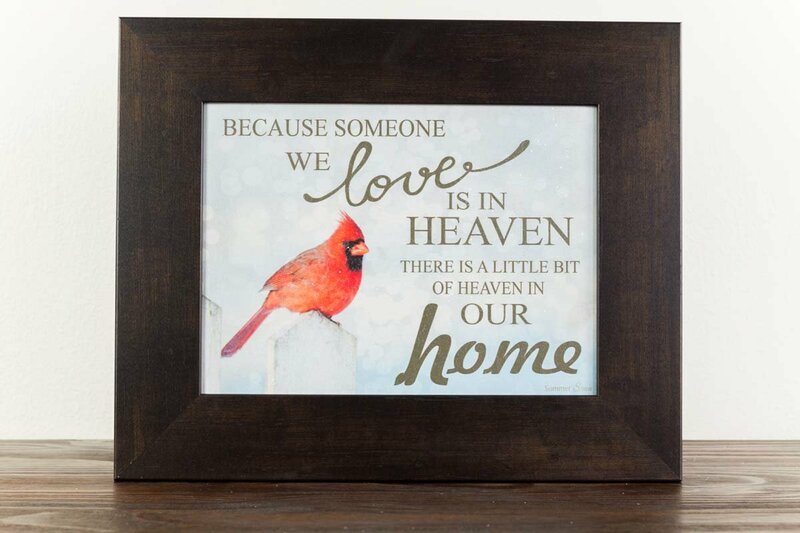 This framed art piece reads: because someone we love is in heaven, there’s a little bit of heaven in our home. It is said that when an angel is near a cardinal shall appear, making this a great piece to remember and honor a loved ones memory with.